Even if you came to college to study law, it does not mean that you will never have to write essays again. You will, and you will probably notice that it’s not so easy to write an essay on a topic that is being modified and updated on a regular basis. To get a high grade, your essay will have to deal with the latest information (that is, updated law regulations) and be thoroughly researched. However, if you take your time to carefully plan and research the assignment, you will be able to draft a truly top-notch law essay. Let’s see how exactly you can achieve that. This one may sound obvious, but in reality, choosing a topic for your essay may appear more challenging than you think. Here are some things to bear in mind when picking a subject. Once again, this sounds like a no-brainer, but you’d be surprised how many students damage their grade simply because they did not pay enough attention to the assignment prompt. Here, of course, a lot will depend on whether the paper you are working on has a rigid (that is, assigned) topic. If it does, the logic is pretty simple — you start researching the subject in question to see if it should be narrowed down or, on the contrary, broadened. Here, the decision will depend not only on your topic, but also on the required length of the paper, as well as your academic level. If on the other hand, the topic is free, you will either have to choose a subject you are particularly interested in (which usually results in a good grade simply because you are motivated to write the assignment) or consult your professor after class. Whatever the case, you will still have to perform some initial research afterward — the topic may yet need some narrowing down. Your class notes can act as a part of your initial research to broaden/narrow down the topic. However, a good tip here would be to choose something that has been covered only briefly in class. In this case, you will have a chance to come up with a non-trivial law paper, which will reflect positively on your future grade. After you’ve gone through your class notes, read a couple of articles, and collected enough material of the subject, it’s time to start brainstorming. Once again, remember that any topic has to be narrowed down to fit the length of your academic paper, and this is, essentially, what the brainstorming stage is about. Of all the researched aspects, you will have to choose just one and focus on it. There are plenty of brainstorming methods, from quiet contemplation to mind maps. Choose whichever one that works for you. It may help to write down all the question and create a list of arguments. If the arguments add up to the main question you are trying to raise in your paper, good! You’re almost ready to start writing an essay. If they do now, it would be better to choose a different subject entirely. It is always easier to write on the subjects you are passionate about, or at least, interested in. Think about it this way — you came to study law for a reason, and it is always possible to reflect your passion in a law essay. If you are assigned a specific topic and cannot choose something of interest to you, think about the consequences of the event you are to write about. Perhaps, they add up to the topics you feel strongly about. This little trick may help you find inspiration to write a law essay. Even though you have already performed some initial research, it is not enough (not usually, at least) for structuring an A+ academic paper. You’ll have to dig deeper, and here are the top ways to do so. Understand what kind of sources are required for your paper. Even though you will probably come across a variety of different resources during the primary research stage, not all of them will be appropriate for your work. Here are some steps to make sure the sources you use are acceptable for academic writing. All academically acceptable sources are subdivided into primary, secondary and tertiary. Primary sources are, basically, questionnaires, interviews, and other first-hand accounts. Secondary sources present the analysis of data discussed in primary ones. Tertiary sources analyze secondary and primary research data. At the extensive research stage, it is time to once again go over your assignment. In many cases, professors will specify which type of sources they expect students to use in their work. Some may even include the number of sources you are supposed to analyze. If your prompt does not have any info on this subject, a typical law essay can be based on the combination of secondary and tertiary works. Primary research data is usually a prerogative of more complex assignments, like theses and dissertations. However, it is once again important to double-check this issue with your professor — after all, the actual choice will mostly depend on the type of paper you are dealing with. This little tip will save you a lot of time and effort on the research stage. Since tertiary sources provide an overview of both secondary and primary research data, they can give you a lot of useful info on the material that will actually be useful for your law essay. You will have a chance to quickly review all previously written material on the subject and pick books and articles that deal with your particular subject matter. In practice, tertiary sources are textbooks, encyclopedias, and other academic guidebooks. As you go through those, pay attention to footnotes and bibliographies — they are basically lists of previously published material on your subject. Even though you can find a lot of useful information online these days, it still does not mean that you have to underestimate a local or a university library. Remember, not every little of piece of research on your subject finds its way to the world wide web, so it is always a wise idea to double-check some on site, in folio editions. Plus, you get a chance to talk to a librarian, who can give you plenty of incredibly valuable tips on moving your research (and, consequently, your law essay) forward. Google may be an incredibly valuable tool; it is, however, designed for fun rather than for academic purposes. So, if you really want to save precious time on online research, start with Google Scholar, not with google.com. If you live in the US, HeinOnline.org is another useful engine that has a lot of academically acceptable sources to make use of. As you start with online research, you may also want to check out some related fields of study. Two of the most obvious ones are politics and history. A lot of students make one and the same mistake over and over again. They collect whichever material they can find and then fill in their bibliographies with a list of random academic articles. However, you have to understand that if the article title seems to fit your topic, it still does not mean that the article content will. You may not know that, but your professor probably will. In other words, you actually have to go over every source you mention in your bibliography section. Plus, do not forget that structuring an academic paper implies quoting from the sources you used so you will have to take this issue with utmost attention. When you find several sources that suit you, make sure to highlight the main arguments you will be using in your law essay. There are several ways to do it; you can either highlight the essential parts of the research or copy paste them into a separate file. While this sounds the easiest thing you could possibly do, it is not the best way to approach the note-taking process. By simply highlighting every idea that might come in handy for your paper, you are not creating an actual outline of your work. If however, you take notes manually, you will, later on, have a chance to easily structure these notes into a comprehensive outline for a law essay. Also, remember that by copy-pasting paragraphs from secondary research data into your notes file, you risk forgetting yourself and inserting the exact same paragraphs in your essay. And given that absolutely all academic papers are checked for plagiarism, you risk damaging your academic grade and — in some cases — even your whole academic career. Sure, the purpose of any paper is to convince the reader in your point of view. This, however, does not mean that your reasoning should be one-sided, especially when dealing with a subject as complex — and, often, as controversial — as law. So, make sure to search for opposing arguments as well. You will have a chance to use them in your work and provide your evidence of how these opposing arguments are wrong, essentially. Now, you can actually sit down to writing. Here are some tips that will help get through this stage with minimal effort. Remember the main research question we were discussing earlier? If you have approached this tip with all seriousness, you already have your thesis statement — that is, the primary problem you are going to discuss in your work. Traditionally, this statement is placed at the end of your introductory paragraph. Once again, if you have carefully taken your research notes, an outline is almost ready. Now, the only thing left is to go over your notes again and arrange them in the most logical and easy-to-follow order. 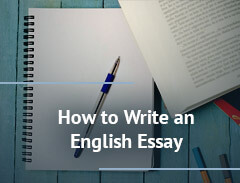 An introduction states the problem and presents your thesis statement. Body paragraphs, on the other hand, reveal your arguments to prove your point of view. Make sure each paragraph deals with just one thought. Also, do not just jump from one random idea to another; make your paragraphs (and their main arguments) follow each other logically. As we already mentioned, counter-arguments are very useful because they highlight your full comprehension of the problem in question. One of the paragraphs in your main body can present a counter-argument to your thesis statement. Sure, you will have to try and prove it wrong; however, stay reasonable as you do so. Do not criticize — prove. A good conclusion should summarize the main points of your work without actually restating every little detail you’ve focused on in the main body. It does, however, imply restating your thesis statement. The goal is not to simply paraphrase it for the sake of paraphrasing, but to restate AND prove it right. Once you are done, do not forget to proofread the whole paper. Ideally, you should do in at least a few hours after finishing — better yet, the next day. This way, you will not only easily spot all mechanical errors (that is, simple typos), but also find logical flaws, if any. 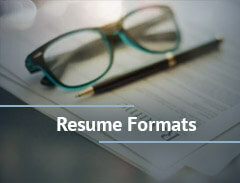 Another thing to focus on while proofreading is the academic format (usually, it will be specified in your assignment prompt). If it is not, you can choose any academic writing style you like; but, you have to remember that once you pick one, you have to stick to it in the entire paper. The fact that your professor did not specify a particular format does not mean you can forget about formatting for good.